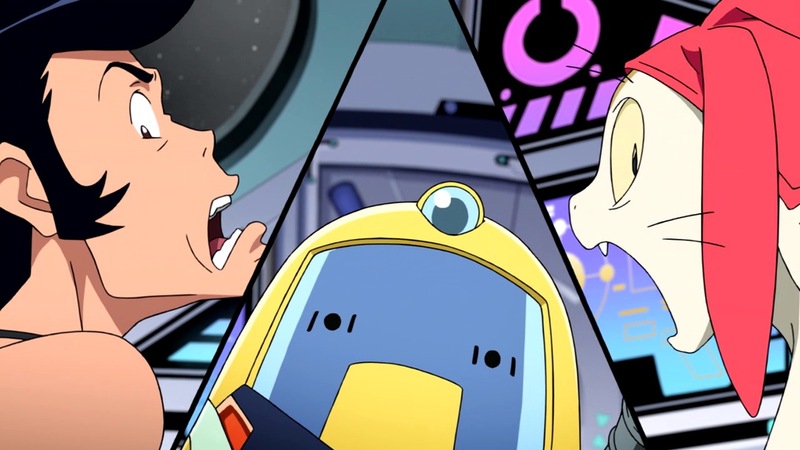 While having no overhanging plot does give the series complete freedom it’s also the downfall of Space Dandy. Among the 13 episodes we had some good stories but we also had some pretty poor outings. 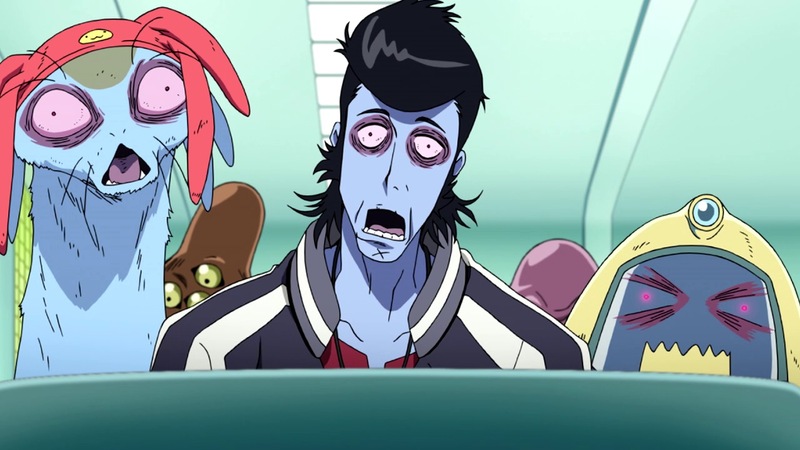 Despite this it’s hard to put Space Dandy down. Some episodes had me wanting to drop the series but when the good episodes come along they impress you and make you smile so much that you can’t just leave it. The show is a hard one to review because of this. It’s hard to recommend the adventures of Dandy when so many episodes can be poor, but then the good episodes are worth pushing through for. Some episodes are silly and out for comedy (which often falls flat), but others are deeply meaningful and have something important to say. Because of the nature of Space Dandy and every episode being a one-off our characters never really get much development. This leaves them as not very deep but they can still be quite entertaining. Meow and QT are nice companions for Dandy as they don’t go along with his every whim and throw in their complaints by the bucketload, but when push comes to shove they really do care for him. It often doesn’t feel like we know these characters at all but somehow I come to really like them all the same. It takes a lot of work to pull off characters with any real depth with a series like this but somehow it’s managed. 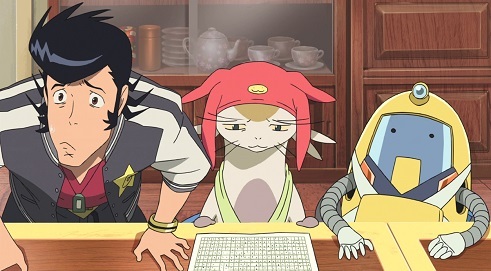 Of course talking about Space Dandy without talking about the animation would be a crime considering how brilliant the series is in this regard. It feels like the animators and directors have been given the ultimate control with every episode having a slightly different style (sometimes much more notable than others), which leads for something new and often very impressive every episode. It’ll catch you off guard and leave you slightly in awe that such animation can be done. Then again, with the whole of space and all the many planets to explore what else could we have expected? It’s a joy to behold and I’m sure many viewers would stick with the series just to see what kind of animation was coming next. The soundtrack didn’t seem like anything impressive to me although the opening and ending theme are fairly catchy and will be stuck in your head for quite some time. On its own I’m sure the soundtrack stands out a lot more than it does during the show as you often have so much going on that the music just passes over your head. It’s a shame but doesn’t feel like too much of a blow to the show either. 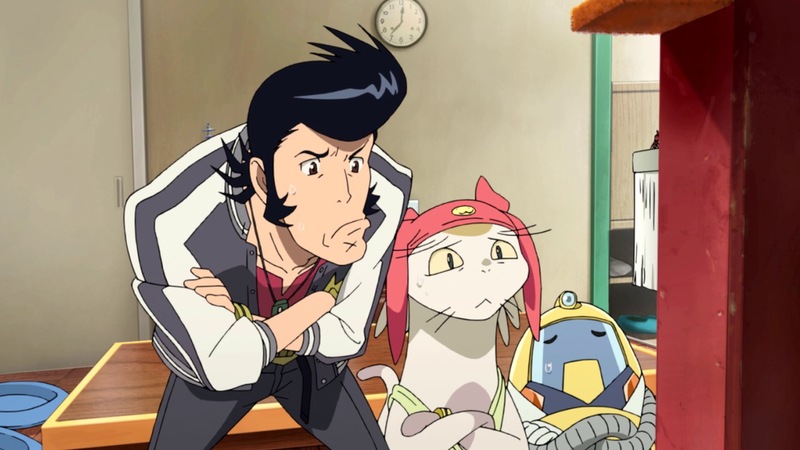 It’s definitely tough to recommend Space Dandy. While I hear the second season does go better than the first I’m not sure I’d tell people it’s worth pushing through the first season for. Overall we have a fun cast of characters and the animation is simply brilliant, but episodes are either brilliant and dandy or poor with no in-between on offer here. 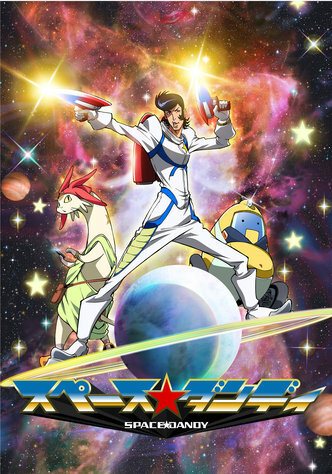 The first season of Space Dandy can be viewed on Netflix in the UK and Anime Limited will be releasing the series on Blu-ray and DVD in the near future.